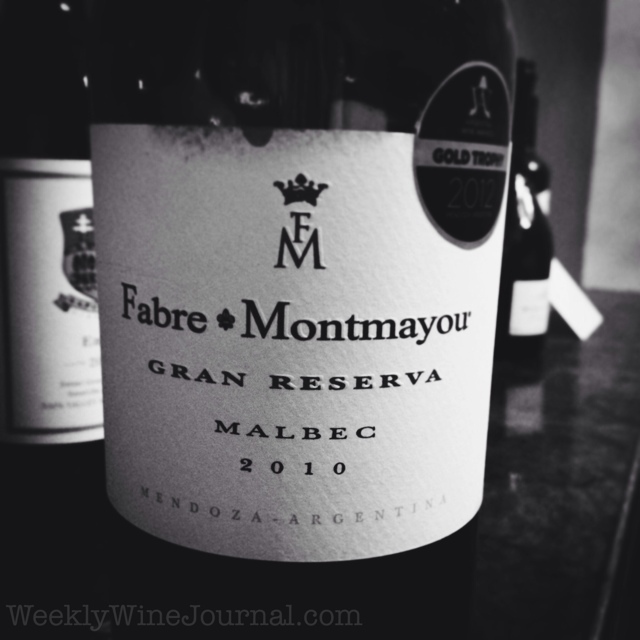 The Fabre Montmayour winery sits at 3,800 feet just outside of Mendoza city. The French owners acquired the vineyard in the 1990’s and built the winery thereafter. The vineyards actually date back to 1908, and the vines used in the Gran Reserva Malbec are 60+ years old. In tasting this wine I immediately noted a sense of terroir that was familiar but out of place. In researching the owners French background it began to make sense. This wine drinks much more like a Bordeaux or Cahors in terms of it’s unique characteristics. This is a big dry wine, no mistake about that. If you’re looking for a fruity Malbec you’re out of luck and should hit the backspace button immediately. But if you like big Cabernets and Shiraz’s and want to try something different and relatively inexpensive then this is your wine. On the nose: bouquet of wild berries, forest and cigar spice. On the palate: Robust tannins, black berry, anise and more spice. No hint of alcoholic heat. The finish is where the earthy, funky terroir appears subtly.